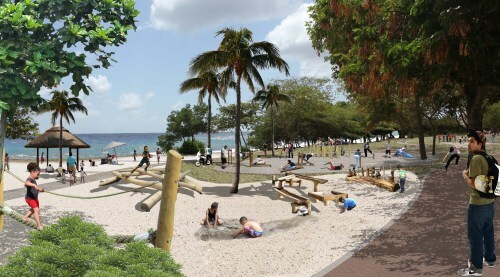 WILLEMSTAD - The second phase of the beach at Marie Pampoen continues anyway. After the completion of the first phase, nothing more happened, while a total of 900 meters of the coastal strip was supposed to be developed. The reason for the delay is not known. The Ministry of Economic Development says that a budget of four million guilders has been reserved for phase two.